Ernest Sternglass, Ph.D., is Director, Cofounder, President, and Chief Technical Officer of the Radiation and Public Health Project. In 1963, Dr. Sternglass was invited to testify before the congressional Joint Committee on Atomic Energy, as to how the exponential increase in strontium-90 in baby teeth caused by bomb-test fallout was associated with increased childhood leukemia. His research and testimony played a role in President Kennedy’s decision to sign the Partial Test Ban Treaty. As Professor Emeritus of Radiological Physics at the University of Pittsburgh Medical School, Dr. Sternglass has written numerous articles on the health effects of low-level radiation. His 1981 book Secret Fallout: Low-level Radiation from Hiroshima to Three Mile Island established him as a pioneer in the study of the health effects of low-level radiation. Joseph J. Mangano, MPH, MBA, is Director, Secretary, and the Executive Director of the Radiation and Public Health Project. Mr. Mangano is a public health administrator and researcher who has studied the connection between low-dose radiation exposure and subsequent risk of diseases such as cancer and damage to newborns. He has published numerous articles and letters in medical and other journals in addition to books, including Low Level Radiation and Immune System Disorders: An Atomic Era Legacy. There he examines the connection between radiation exposure and current widespread health problems. David Friedson, Director and Vice President of the Radiation and Public Health Project, recently retired as Chief Executive Officer of Applica Inc. a manufacturer of electronic products. He was the major supporter of Standing for Truth About Radiation (STAR). Mr. Friedson has been one of the chief RPHP funders, and also shares his experience in organizational management with the board. Robert Alvarez, Director of the Radiation and Public Health Project, is also a Senior Scholar with the Institute for Policy Studies in Washington DC. Previously, he was Senior Policy Advisor at the U.S. Energy Department under President Clinton, and was responsible for releasing studies of cancer in nuclear plant workers and Americans exposed to atomic bomb fallout. He was Executive Director of Standing for Truth About Radiation (STAR), and was Senior Investigator for the U.S. Senate Committee on Governmental Affairs headed by Senator John Glenn. Mr. Alvarez advises the board on issues of nuclear policy and intergovernmental relations. Judith Johnsrud PhD, Director of the Radiation and Public Health Project, is also the director of the Environmental Coalition on Nuclear Power, based in State College PA. She is also active at the national level in the Sierra Club, and is board chair of Nuclear Information and Resource Services (NIRS), the largest anti-nuclear advocacy group in the U.S.
Dr. Johnsrud has made numerous presentations on radiation safety and health to scientific groups and to the public, in the U.S. and overseas. She earned her PhD from Pennsylvania State University. She contributes her knowledge and experience with scientific and advocacy groups to RPHP. Karl Grossman, Director of the Radiation and Public Health Project, is a full professor of journalism at the State University of New York/College at Old Westbury who teaches and has long specialized in investigative reporting. A special focus of his investigations has been nuclear technology issues. Books he has authored include Cover Up: What You Are Not Supposed to Know About Nuclear Power; The Poison Conspiracy; The Wrong Stuff: The Space Program’s Nuclear Threat to Our Planet and Power Crazy: Is LILCO Turning Shoreham Into America’s Chernobyl? He hosts the nationally-aired television program Enviro Close-Up which is produced by EnviroVideo and he has written and narrated award-winning TV EnviroVideo documentaries including Three Mile Island Revisited; Nukes in Space: The Nuclearization and Weaponization of the Heavens and The Push to Revive Nuclear Power. Christie Brinkley joined RPHP’s Board of Directors in December 2008. For many years she has been involved in environmental causes, with a particular interest in radiation exposure and risk to children. She was previously a Board member of Standing for Truth About Radiation, and is a current Board member of the Global Security Institute. Christie Brinkley has a long history with RPHP. She made appearances or sent written material on behalf of the RPHP study of Strontium-90 in baby teeth in Long Island, New Jersey, and Connecticut. As the recipient of a “Smart Cookie” award from Cookie Magazine in April 2008, she named RPHP as one of her two favorite non-profit organizations. Janette D. Sherman, MD, is Research Colleague and Lecturer for the Radiation and Public Health Project. Dr. Sherman’s experience includes research at Michigan State University; the Atomic Energy Commission at the University of California Berkeley; consultant to the US Environmental Protection Agency for the Toxic Substances Control Act from 1976-1982; and Clinical Assistant Professor at Wayne State University Medical School. She publishes and lectures in the field of toxicology and currently is an Adjunct Professor of Environmental Studies at West ern Michigan University in Kalamazoo where she consults with graduate students and faculty on workers’ illnesses. She is the author of Life’s Delicate Balance Causes and Prevention of Breast Cancer as well as Chemical Exposure and Disease. Jay M. Gould, Ph.D., the Founder, Director, and first President of RPHP. died at age 90 on September 16, 2005. Dr. Gould wrote several books and numerous scientific and trade articles in his long career as economist, statistician and epidemiologist, as well as serving as a member of the EPA Science Advisory Board under President Carter. Three of his books focus on the epidemiological evidence demonstrating the adverse health effects of low-level radiation and other enviornmental contaminates. 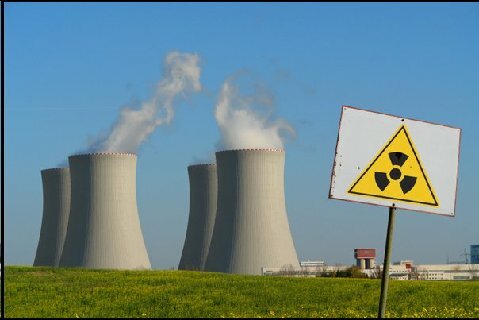 These books are The Quality of Life in American Neighborhoods, Deadly Deceit: Low-Level Radiation, High-Level Cover-Up and The Enemy Within: The High Costs of Living Near Nuclear Reactors.